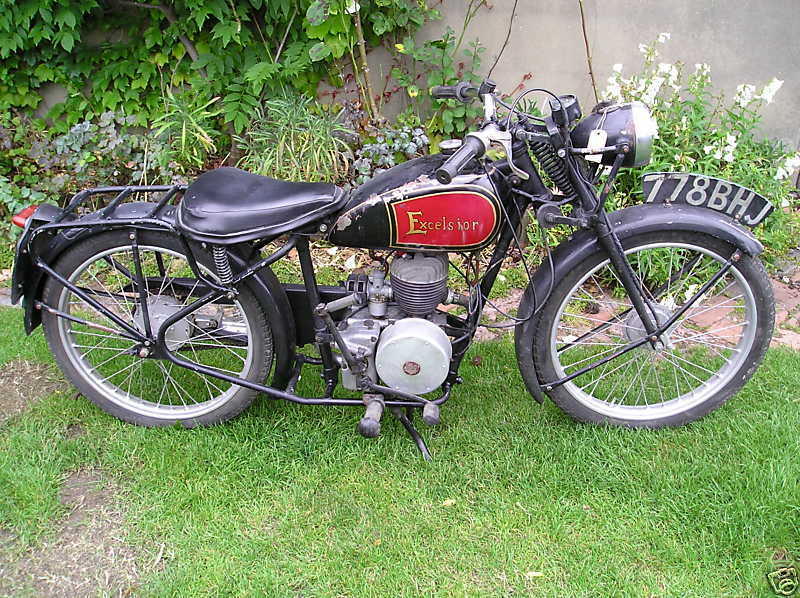 The origins of Excelsior lay with the Bayliss Thomas partnership who originally made bicycles and then fitted Minerva engines to them at the very dawn of the motorcycle industry in this country in about 1896. 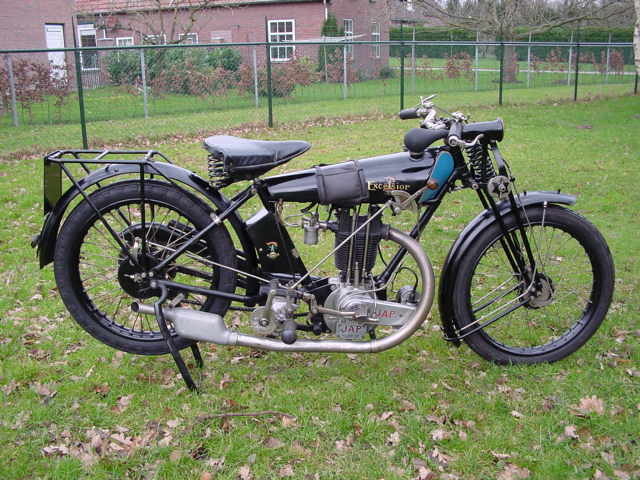 By WWI, although showing interest in sporting events, they proceeded to manufacture ever larger single cylinder machines, one model being an incredible (at the time) 5.6hp. 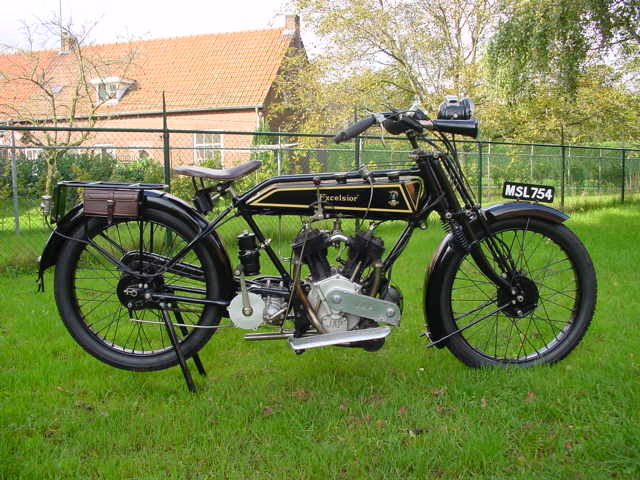 Excelsior was also noteworthy for their early involvement in motorcycle racing, which started around 1900. 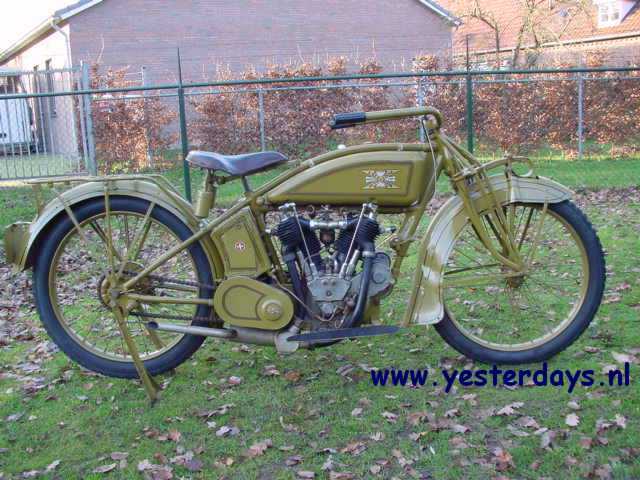 In 1910 the company was renamed, The Excelsior Motor Company Co Ltd.. 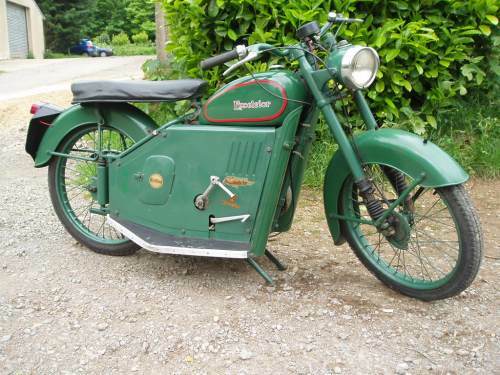 In 1940 Excelsior changed to war related work, manufacturing the 'Wellbike', which was a collapsible small motorcycle used by Allied Paratroopers. 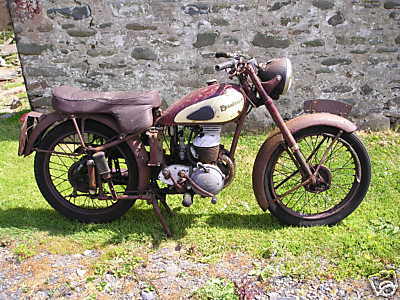 Civilian motorcycle manufacturere re-commenced in 1946. 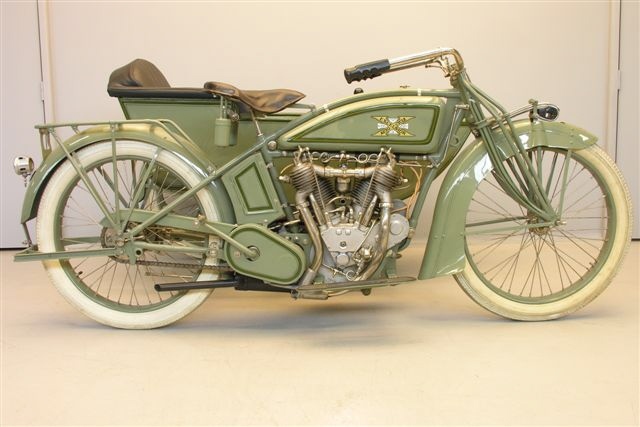 1918 Excelsior USA Twin, 974cc This machine is an example of the 974 cc twin, with bore and stroke dimensions of 84x88 mm. 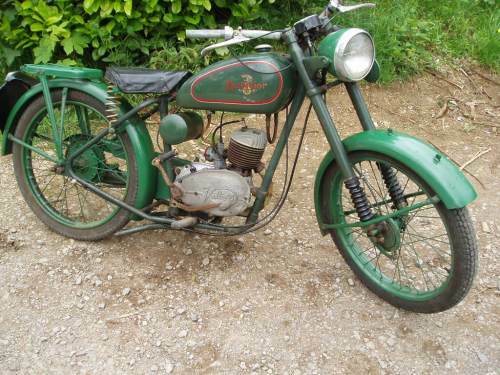 It has a three speed gearbox and a foot operated clutch. The seat post is sprung for extra comfort. Ignition is the best there was at the time: Bosch. 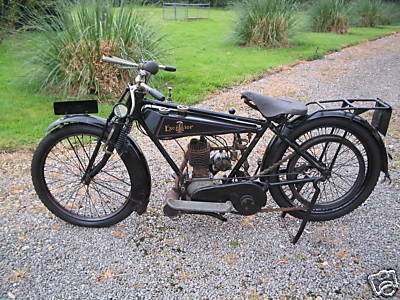 1923 Excelsior JAP 300 Albion 3-speed gearbox. 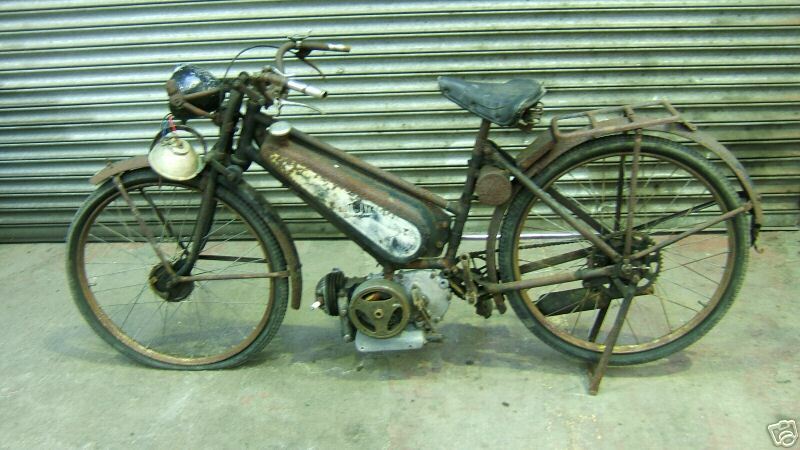 It has a rare JAP engine. Belt Driven. 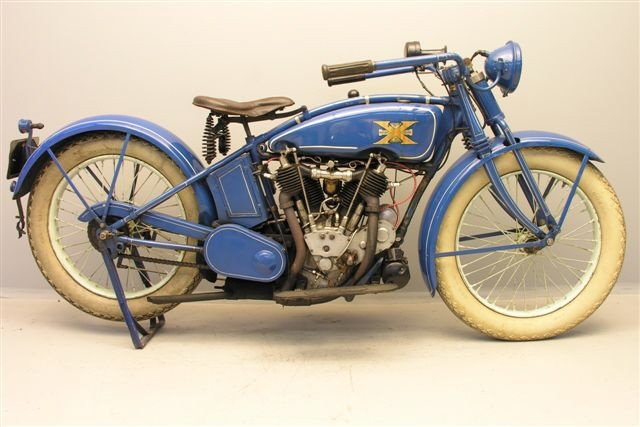 1930 Excelsior Sport 350cc OHV, two Port. 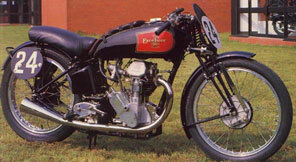 1933 Excelsior Empire 148cc. 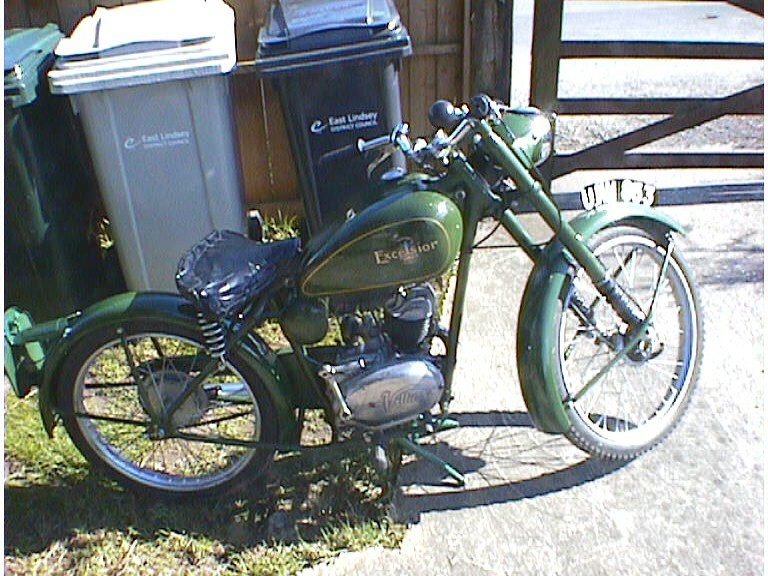 Twin Port model BE1. 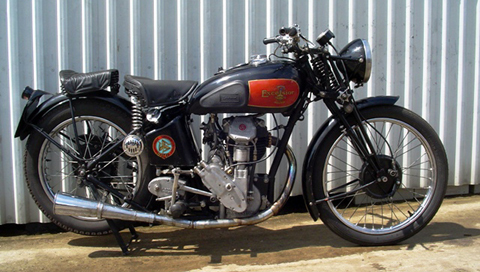 1933 Excelsior Empire BE1 148cc Twin Port 2 Stroke. 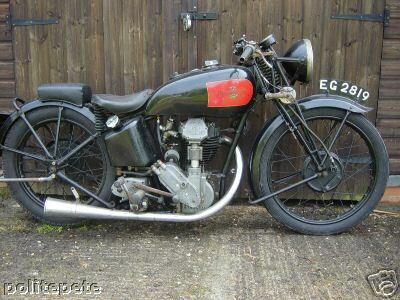 1935 Excelsior Manxman 350cc Although, it propelled Sid Gleave to victory in the 1933 Isle of Man Junior TT race at an average speed of 72.62mph, the 'Mechanical Marvel' was just too complex for Excelsior to consider series production. 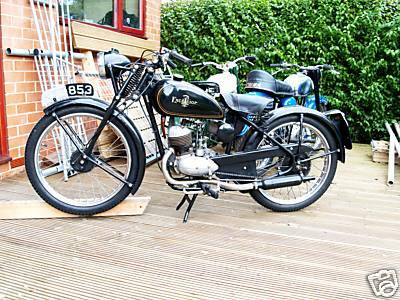 In addition to the tooling cost implications of its twin carburettor, dual camshaft and pushrod operated four-valve radial cylinder head specification, the 'Marvel' also promised to be a warranty nightmare. Nevertheless, determined not to lose the publicity benefits of its hard-won competition success, Excelsior asked Blackburne's Ike Hatch to come up with a simpler, more reliable powerplant. 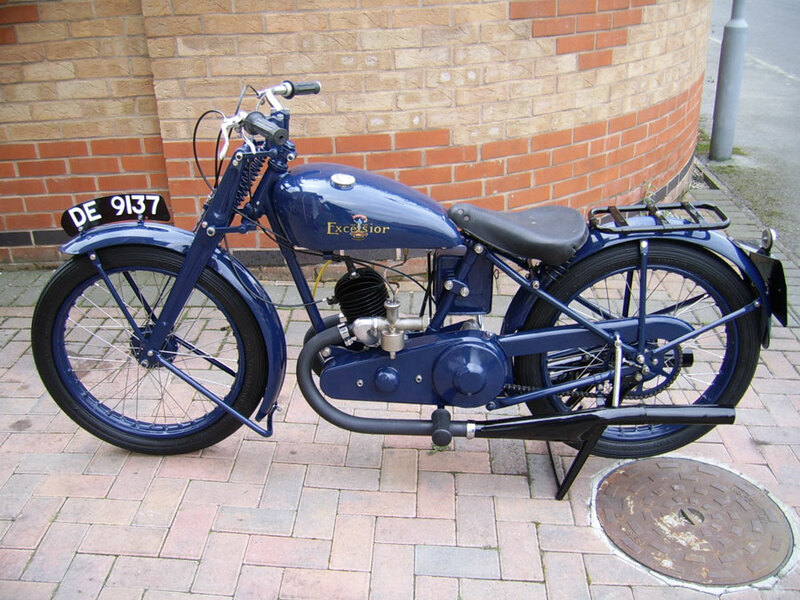 Utilising a conventional bevel-driven overhead camshaft, the resultant single-cylinder engine was both simple and effective. 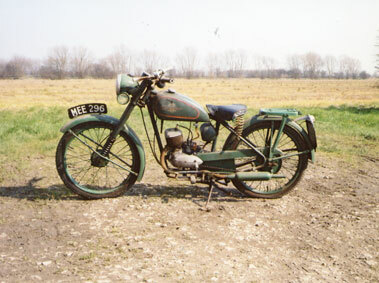 Displacing 248cc courtesy of its bore (63mm) and stroke (79mm), it developed a reputed 16bhp @ 5,000rpm. 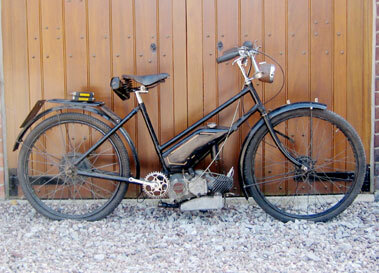 Mounted in a rigid frame and mated to a four-speed foot change gearbox, the whole ensemble was christened the Manxman. 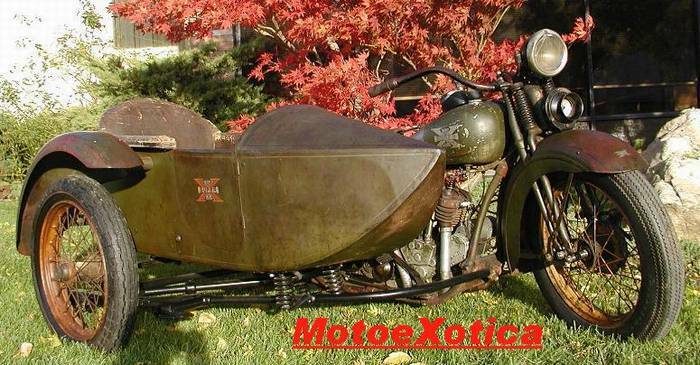 Debuting at the 1934 Olympia Motorcycle Show, the new model proved a palpable hit. 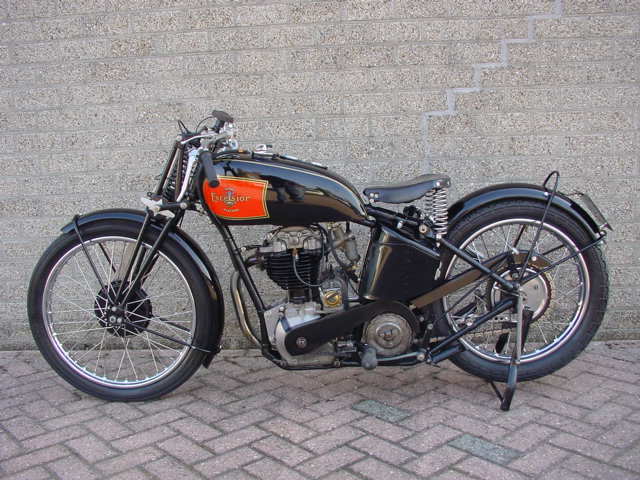 Proving that its name was no idle boast, a four-valve racing version took second place in the 1936, 1937 and 1938 Lightweight TTs. 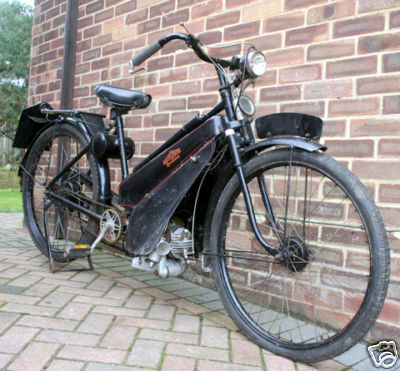 Bayliss, Thomas & Co. were established in 1874 and were well-known makers of bicycles and tricycles at the Excelsior Works in Lower Ford Street, Coventry. 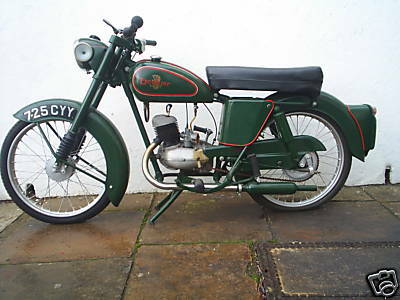 Excelsior was only one of several trademarks used by the company but, by the time the Autobyk was launched, the name of the company had become "The Excelsior Motor Co. Ltd. (Proprietors of Bayliss, Thomas & Co.)" and the factory was at Kings Road, Tyseley, Birmingham 11. 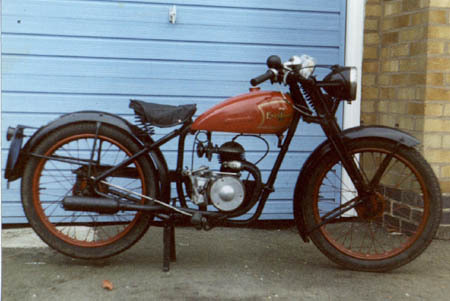 Excelsior introduced the Universal model in 1937. 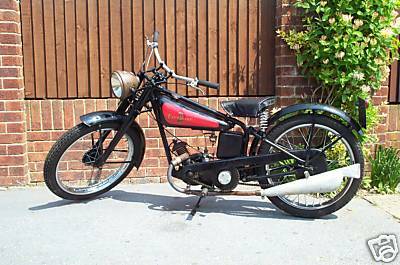 Designed to offer basic transport, the little machine initially used a 122cc Villiers engine housed in an open frame with blade girder forks. 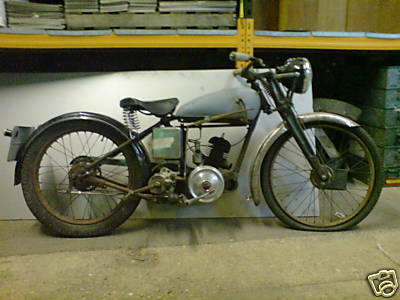 The model continued in this form until 1939 when it was joined by a 98cc version. 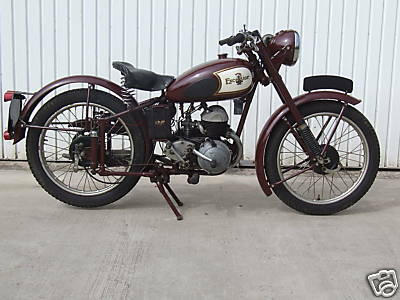 1946 Excelsior 125cc This Excelsior was originaly registered in 1946. 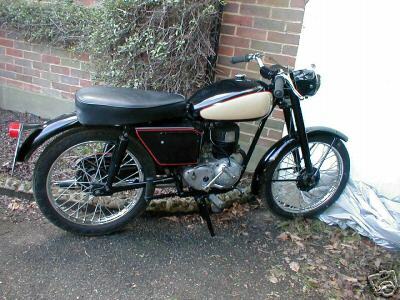 This model was very popular although few have survived. 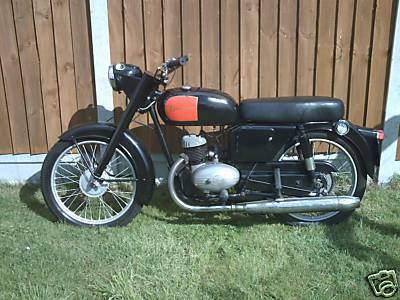 It has a 125cc Villiers engine. 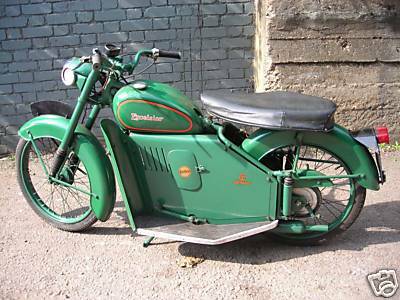 1951 Excelsior Tallisman 250cc twin. This is a rare plunger model. 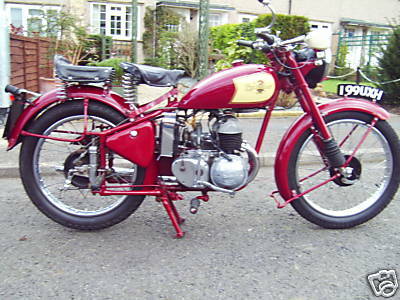 1951 Excelsior Talisman 250cc Talisman Twin TT1 Model. With Excelsior 98ccSpryt Engine (same as the Brockhouse Corgi). 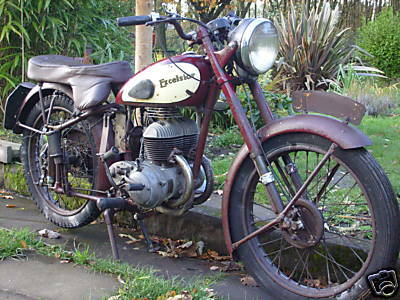 By 1955, when this Excelsior was manufactured, the writing was already on the wall for autocycles. 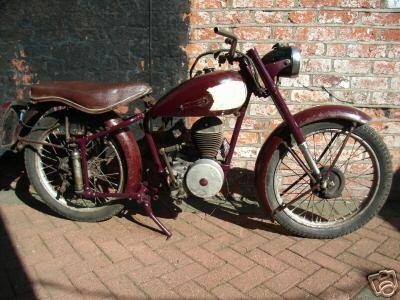 Those new-fangled ‘mo-peds’ had just hit the showrooms, and old-fashioned cyclemotors and autocycles were no longer wanted by a public that had been waiting so patiently since the end of the war to buy new vehicles with modern designs. 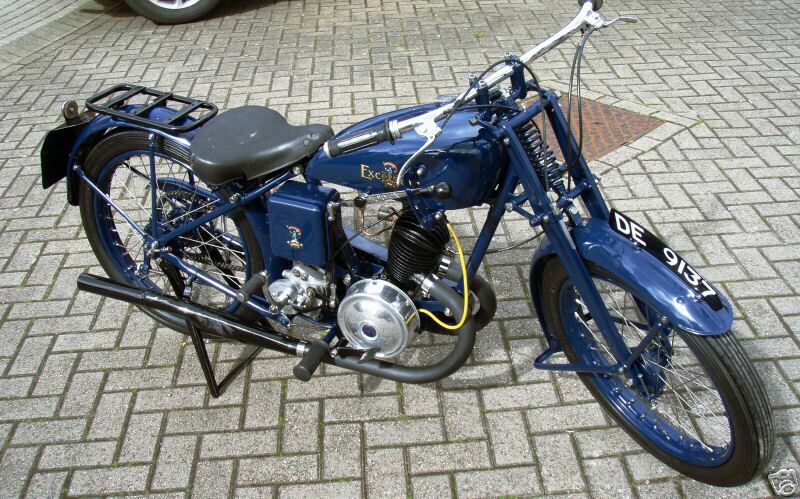 Excelsior ceased production of its renowned autocycle the following year, so this is one of the last of its breed. 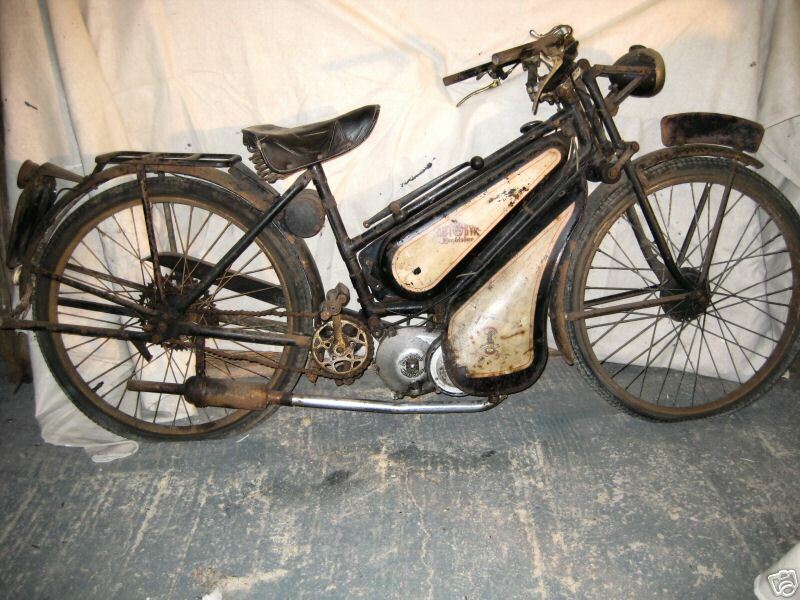 As you can see below, it sports Excelsior’s own engine, the Spryt, which was also fitted to the Brockhouse Corgi motorcycle. 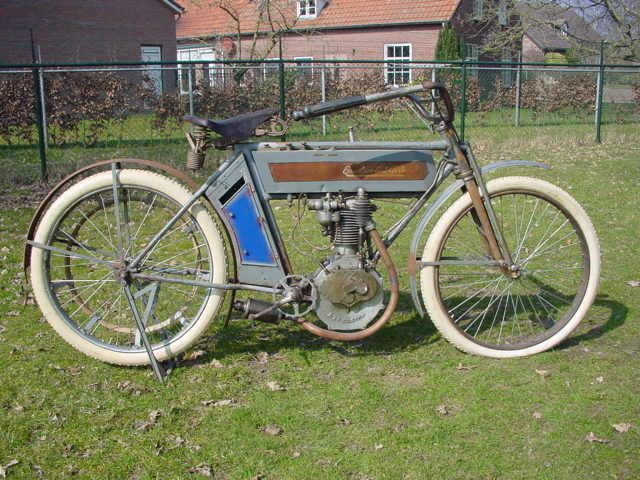 An Excelsior Skutabyke. Finished in green with some of the finish appearing to be original and other elements seemingly hand painted. 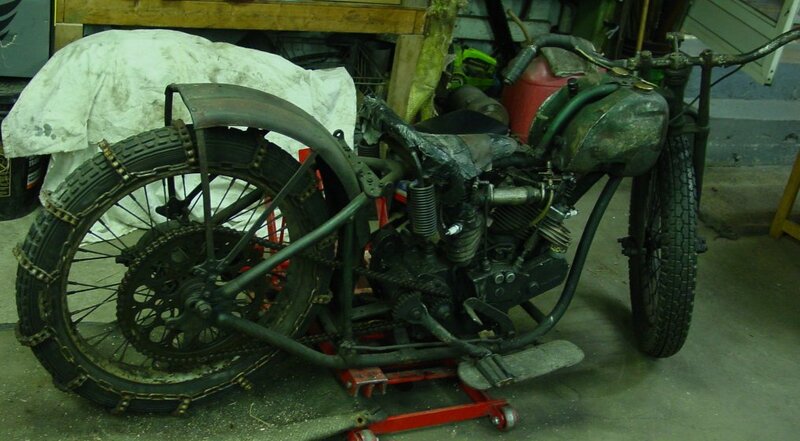 The machine retains all of its original tin-ware together with the characteristic footboards, dual seat, and full lighting kit. 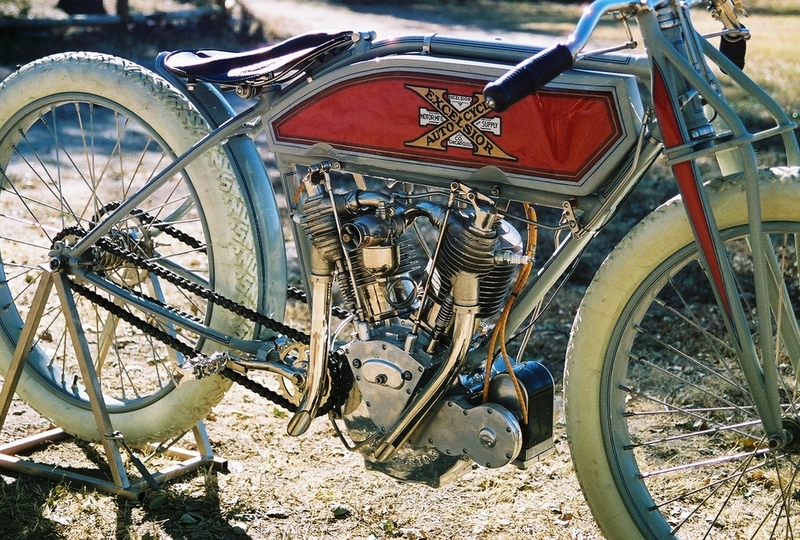 1959 Excelsior Skutabyke, 98cc Image provided by Rex Judd Motorcycles. 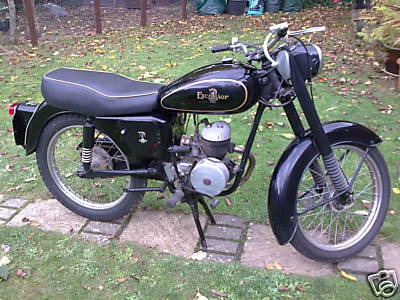 1959 Excelsior Consort Image provided by Rex Judd Motorcycles. In keeping with its simple design philosophy, the Consort did not adopt telescopic forks until 1960. 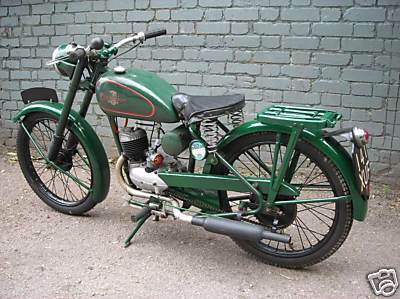 This Excelsior lightweight is finished in green with some of the paintwork appearing to be original (notably the fuel tank) and some hand finished but servicable. A circular toolbox is fitted and the machine appears to be complete except for a missing speedometer drive. 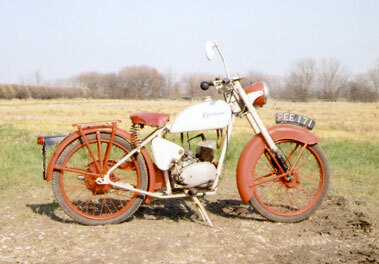 An example of the basic, lightweight Excelsior, hand painted in red and cream and in complete condition with a toolbox mounted on the right-hand side and fitted with a rear carrier.